Formed in 2000, Taylor's Universe is Robin Taylor from Copenhagen Denmark. He is joined by Karsten Vogel and Rasmus Grosell. 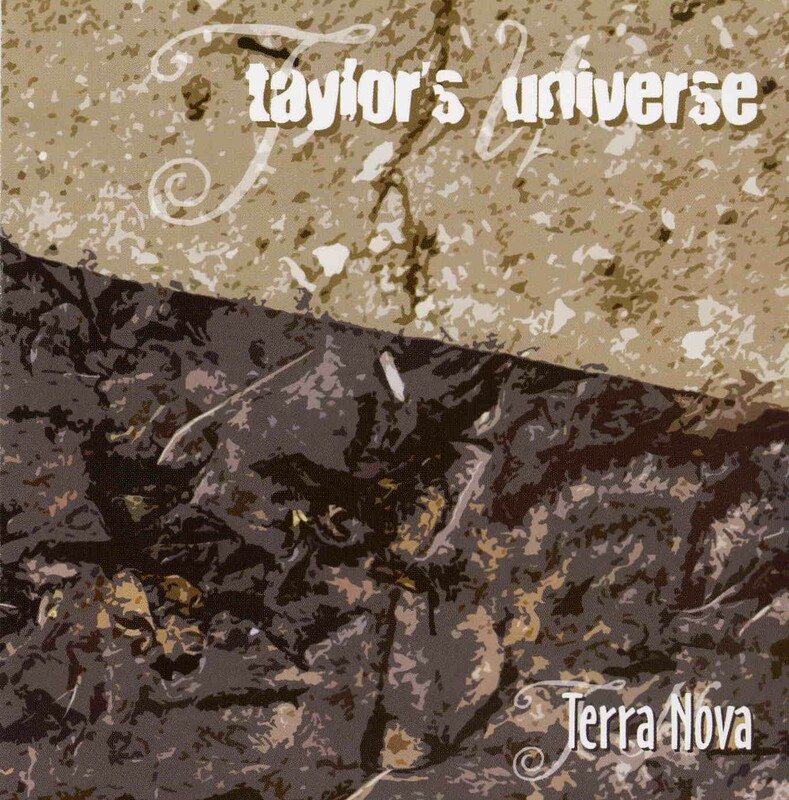 TERRA NOVA simple sensitive piano, then dramatic flourishes, then the big rock bass and drum! Oh Yeah, acutally pretty cool so far, not that original but not obviously retro yet. Some female vocalizations and fruity keyboard riffage. Starting to sound more and more like Denmark's version of MTV 1983! The playing is very efficient, tight, nice big studio sound, some tambourine and kickass saxophone. AMHAGE WEST back to the 'Yes' as an MTV band sound! Sounds like the theme music to Good Morning America or the David Letterman house band, tight, normal, unoriginal. Almost like elevator music or fern bar muzac! MECCAN0 very late 70's prog rock sound like Yes, ELP, Asia etc. etc. All the songs are without lead vocals so far, which is kind of nice! THEY USUALLY COME AT NIGHT slow mournful trumpet and drums, adequate 70's prog sound from Copenhagen. Makes me want to bust out the Brain Salad Surgery album! This track is actually pretty okay, prog ear candy. METROPOLARIZATION whimsical piano and keyboard, then cool female vocal thang! Hey, if these guys have fun doing this then who am I to slag it?! Goes into cool funky ELPish riff , kinda like ELP lite with modern production! Some chaotic keys atop doomy funk rock, pretty cool! LAND OF LAMPS big sax and bass, more funky 70's prog! These guys are prolly the freakin' Beatles of Copenhagen. Long cool nice slowed down vibe! I'd have to say this album is a couple of notches better than the 'Little Tragedies' CD! Some nice noise flourishes on top of groovoid beat. Hey, these guys are startin' to get it! !...abrupt ending...RUBY WIRES back to fruity ELP sound mixed with elevator music. Please make it finish! Soundtrack music for the movie you walked out of the theatre over. CITY OF GREED lonesome faraway trumpet, then some rain? Or is that my speakers cracklin'? Back to steady rock guitar pluckage, moody and funky, some big keyboard riffage. This guy totally has the Keith Emerson sound. Is it Robin Taylor's universe or is it Emerson Lake and Palmer's? Some nice Barbarella sounding female vocals and it's over!! !